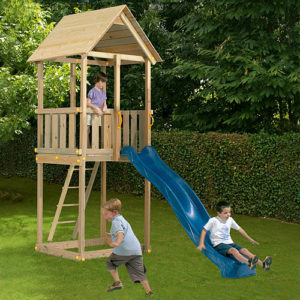 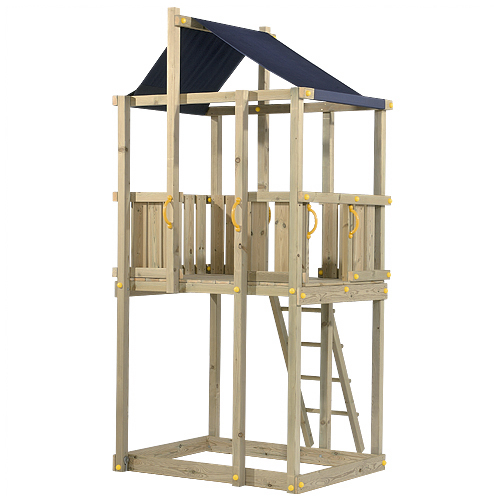 Luxury tower with asymmetric polyester roof, delightful square platform space for a large sandpit. 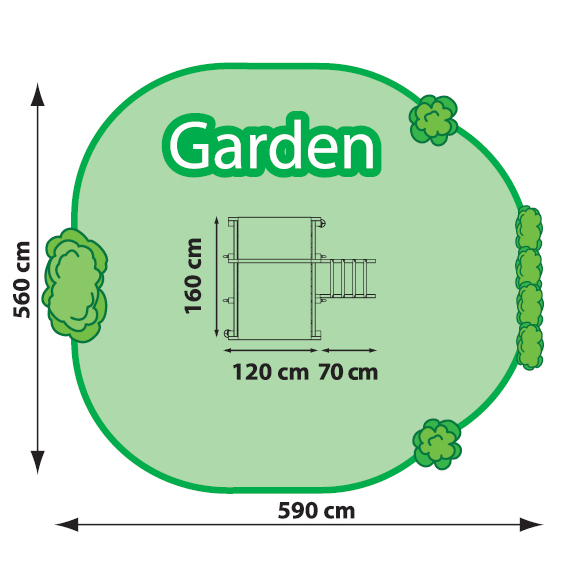 Two sections in the platform where modules can be added. 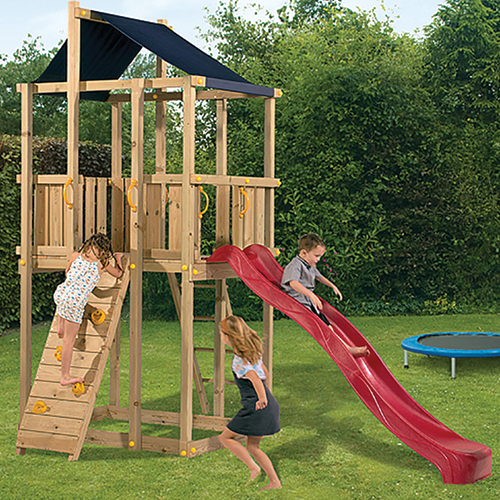 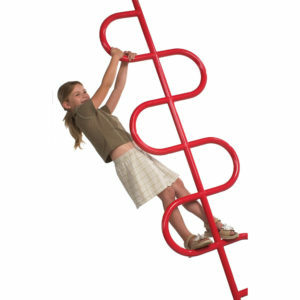 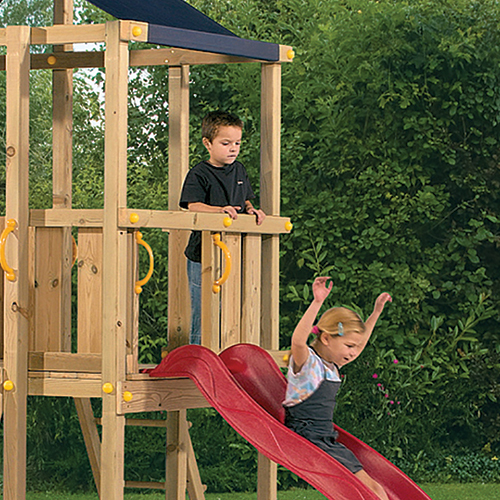 A playground structure on which children can have guaranteed fun for years to come.